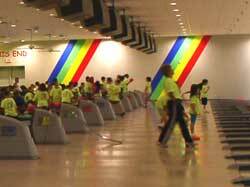 The largest, most modern Bowling Center in the state of Tennessee, we have 52 lanes in our clean, fun and friendly 50,000+ square foot facility, located in Smyrna, TN, at 95 Weakley Lane. Smyrna Bowling Center features the highest quality lanes and equipment which are maintained daily for top performance. We have lanes geared for the pro and the amateur alike. 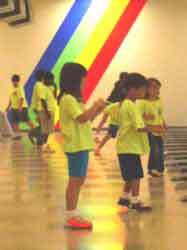 We cater to all bowlers from the novice to the more experienced, and from the youngest to the oldest. If you have not already done so, come on in and meet our friendly staff who will be happy to guide you to an enjoyable and fun competitive bowling experience that the whole family can enjoy. Our Spare Time Café has great menu items that will keep the hungry bowler satisfied while they work on knocking down the pins. Our facility also boasts great pool tables and an arcade full of video games and other amusements. 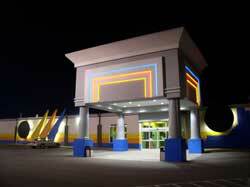 It is easy for the whole family to have hours of fun and keep outings affordable at Smyrna Bowling Center. At Smyrna Bowling Center, we really are all about "More People Together". We work with Schools, Churches and other groups around the Middle Tennessee area to provide a fun safe location for social activities and outings. We are a perfect choice to host fundraisers. Smyrna Bowling Center is a fun and vibrant community in and of itself. We strive to make it a vital part of the larger Middle Tennessee community as well. Come see us! We are open 24 hours a day, 7 days a week! This consistency positions Smyrna Bowling Center to be be the premiere location for third shifters to come enjoy in the mornings after the work day is over, and those night owls out there to come and enjoy some great bowling in the wee hours of the morning. *Unless there are scheduled parties, Smyrna Bowling Center closes for a half day on Thanksgiving at 7:00 AM, reopening at 3:00 PM, and closing on Christmas Eve at 6:00 PM, reopening at 3:00 PM on Christmas.